Florida Needs More Passenger Trains! The Florida Coalition of Rail Passengers (FCRP) a 501(c)3, was formed in 1983 to preserve and to improve passenger rail service for Floridians and visitors to our state. Since FCRP's inception, we have been an all-volunteer organization made up entirely of citizen rail advocates. FCRP's association with both the Rail Passengers Association (formerly NARP) and the United Rail Passenger Alliance (URPA) has allowed FCRP to assimilate diverse perspectives on the long term future of Amtrak and advocate balanced rail service improvements to Florida. FCRP also supports the preservation and continued use of historic railroad depots in Florida as part of rail passenger service. FCRP has endorsed or actively supported depot restoration projects in Tampa, Orlando, Kissimmee, DeLand, Winter Haven, Sebring, Deerfield Beach, Palatka, and Ft. Lauderdale, and a new depot in Lakeland. In 2008, the Coalition founded Friends of Tampa Union Station in cooperation with the City of Tampa. FCRP and NARP worked together to obtain Amtrak station stops at Palatka and Okeechobee. FCRP played an active role in advocating for the extension of the Sunset Limited and is working for the resumption of New Orleans-Florida Amtrak service. FCRP also successfully urged Amtrak to return sleeping car service to Tampa. And it encouraged state support for the creation of Tri-Rail in Southeast Florida and supports its continued funding and improvement. 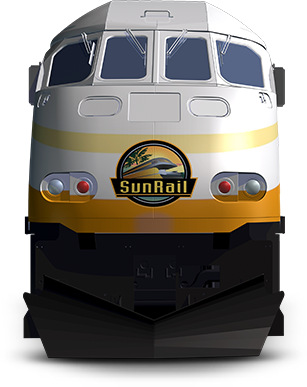 Additionally, FCRP supported the creation of SunRail, the Central Florida commuter rail system. FCRP believes that SunRail is an essential tool for addressing the traffic congestion in Central Florida and that it is needed to meet growing regional transportation needs. 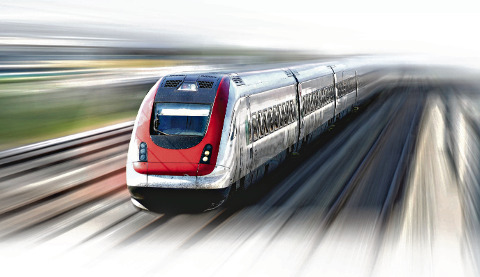 FCRP also endorsed Florida's application for federal stimulus funds for high speed rail. For the latest in Florida passenger rail news, check out FCRP's The Silver Rail Blog, where you will find stories and commentary on issues affecting high speed rail, Amtrak, Tri-Rail, SunRail, and other passenger rail issues around our state. Help support passenger rail in Florida by participating. Your tax deductible Dues are only $20.00 per calendar year. To join, use our convenient Print-And-Mail Membership Application to pay via check or money order and U.S. Mail! Or, use our Online Member Application to join with your credit or debit card via PayPal. Find out now! Check Out The Silver Rail Blog! Restore the Dining Car to Amtrak's Silver Star! Speak Up!